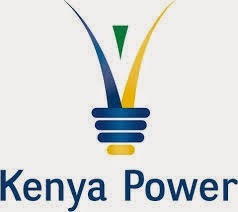 This post will show how to Check KPLC Bill without having to wait for the bill to be sent to you. This will ensure that you pay KPLC bill in time and avoid being disconnected. There are different ways you can check you KPLC bill, whether online, through text or through KPLC social media profiles. Only type the first part of your account number. For instance, if your account number is 123456-01, just type 123456. Send the message to 95551. You will receive your account details and your bill in a few moments. Go to the KPLC contact center site here. On the Bill amount dialogue box, enter the first part of your account number. For instance, if your account is 123456-01, simply type in 123456. You can check your KPLC bill by calling KPLC cantact centre. Simply dial 0711 031 000 and follow the prompts. You can also Check your KPLC bill by contacting Kenya Power on their twitter handle or facebook page. They will be happy to reply with your bill amount. To ensure that you always have the lights on in your house, use Mpesa to pay your bill or buy tokens and contact KPLC to report power outage. kindly i erred my account when i was purchasing units.my account is 22119597130 and the wrong one is 22119097130.The amount was ksh500,transaction date 14/11/2015.I have called severally with no assistance until now.Please check and revert. we can nolonger check our bills, and message through to 95551 doesnt come back, please advice.